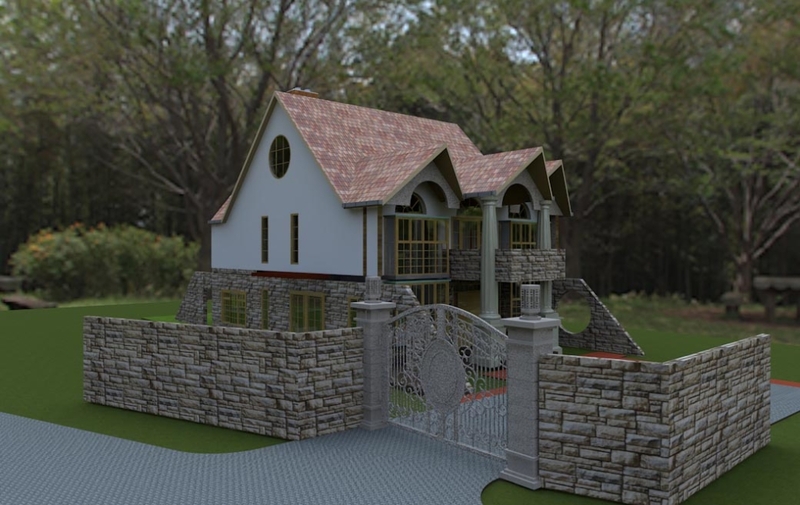 It is an exciting adventure to design and build a house for a client. What starts off as a dream becomes a very beautiful reality. 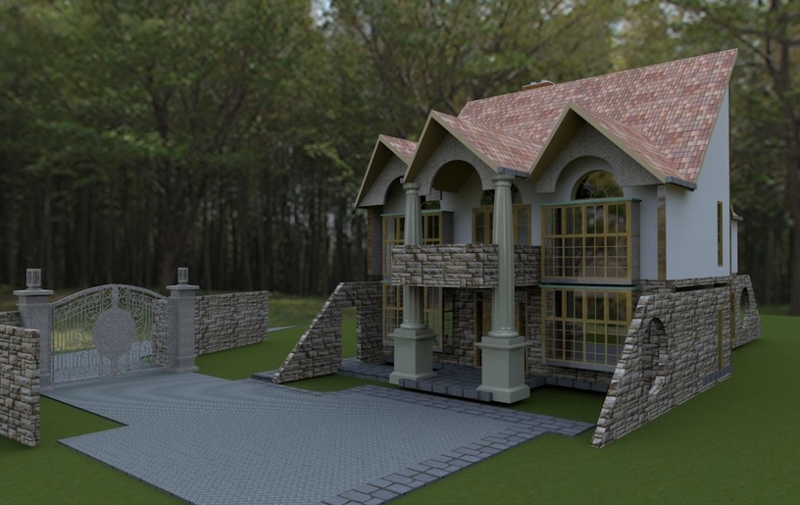 This client selected the 5 Bedroom A House Plan with a few adjustments to suite their needs. Nice work. I love this plan. How much would it cost to build, and would it fit in an 1/8th ? Lovely and very simple design. kindly inbox me the finer detail. Do you do the construction/ supervision work? what is the total cost of the project? can it fit of 1/8 piece of land? Check your inbox. I have sent you all the details there. This is a really nice design. How much would it cost to build this? This is a a big house. As it is, it can cost anywhere from 10M-12M depending on the finishes used. It can also be scaled down to fit your needs. Kindly let me know how much would this cost in Ruiru area . The soil is red. Also let me know if it can fit in a 50 by 100 land. This design would be great on a quarter acre or more property, though it would fit great on an eighth acre (50×100 feet) plot with the omission of the garage. I have sent you more details on cost of construction. I await your response. 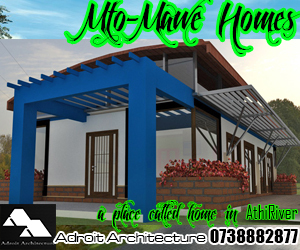 Check your inbox for all the details regarding the A House Plan. Kindly check your email for all the details. Awaiting your response. Kindly inform on the dimensions of the plinth area and the cost. Kindly check your email for all the details and thank you for getting in touch with us. 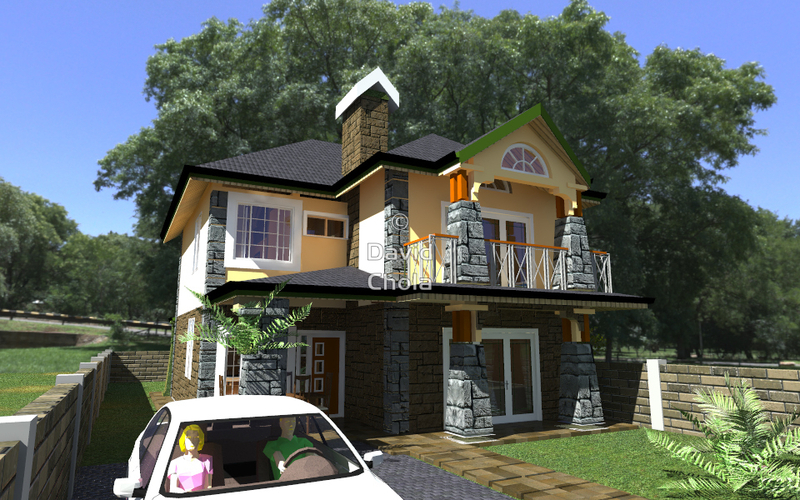 Lovely house… Please could u send me the details of the structure details.. I have sent you all the details via email. Awaiting your response! 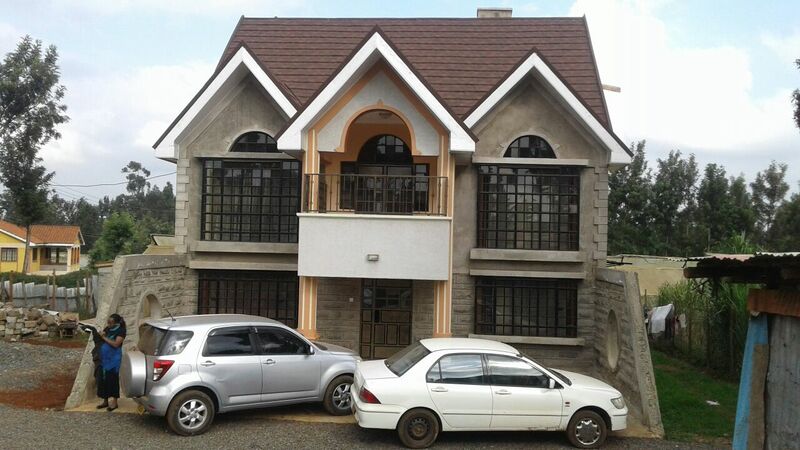 I woud want to do a 4 BR massionette near Kiu Kenda, kiambu. Red soils. Would want to know estimated costs for such a project and how long it would it me. Please check your email. 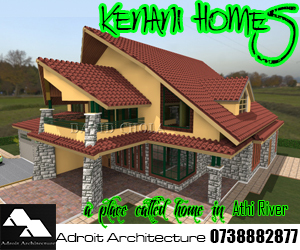 We have sent you all the details regarding this house plan. You can view the plan via this link and get more information on it. 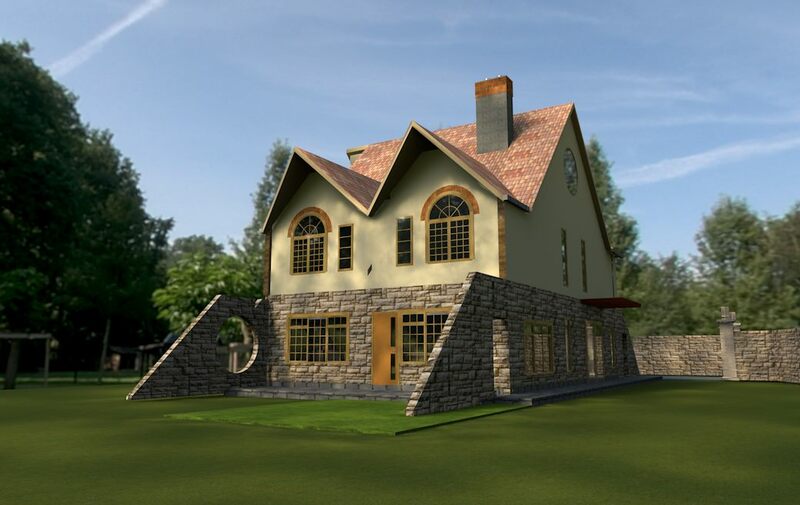 Here is a link to this house plan where you can get all the details regarding the plan. We have several variations of this plan depending on the needs of the clients. Kindly check your inbox for more details. Hi David, I love this four bedroom design. How well can it fit in a 1/4 acre? How much would it cost to build? 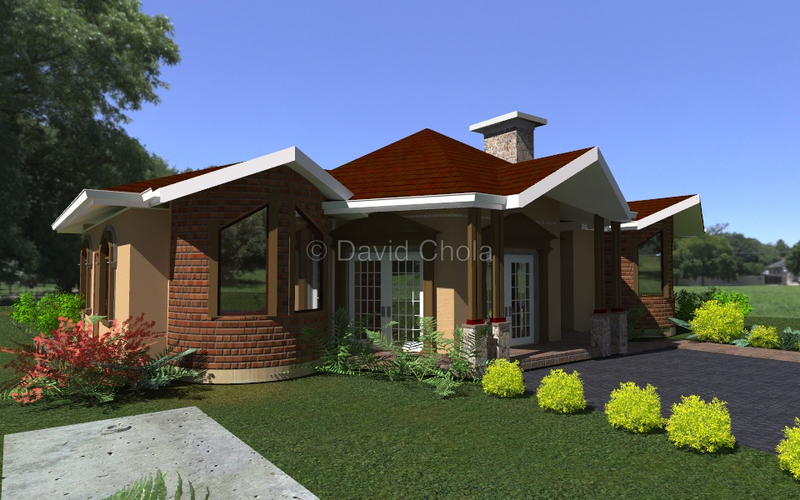 This particular house plan is designed for a quarter acre piece of land and it will therefore fit perfectly, leaving around it a good amount of space. I have sent you an email will a lot more details on this particular plan. How much would it cost for the above. also send me finer details. hello, can you send me this on 1/4 plus cost of construction ya mkulima mdogo . i would really love a office added, but remove the entrance wall. 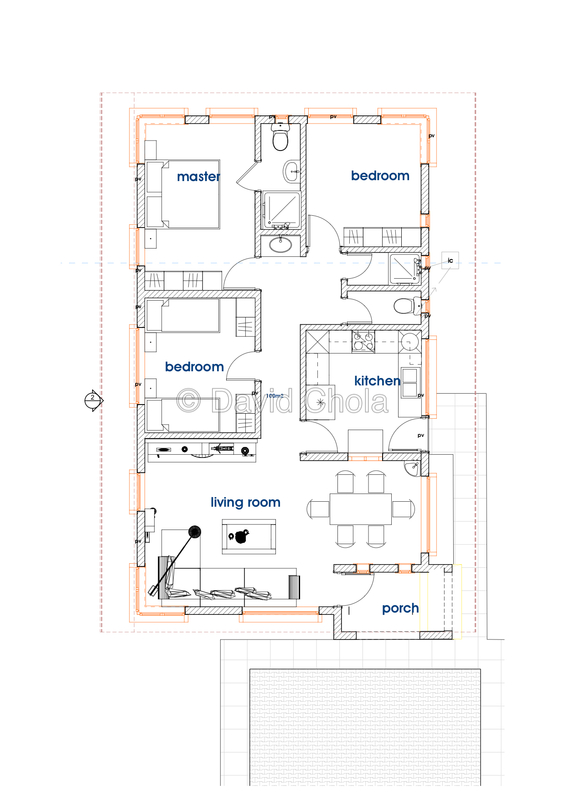 Here is a link to the original house plan. I have sent you all the detail on this house plan. I wait to hear from you. Lovely design. kindly inbox me the finer detail. what is the total cost of the project? can it fit of 1/8 piece of land. 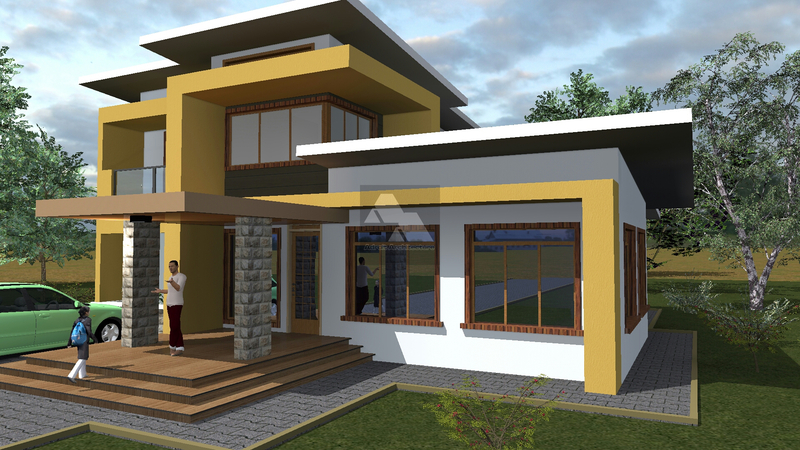 Kindly check your email for all the details on this particular house plan. It can be adjusted to fit within an 1/8 of an acre piece of land. Its all about what you need. We can definitely see how this can work. Just keep in mind that we respect the privacy of our clients and it is up to them whether they are willing to open their homes or not, but we can see how to work this out. It can definitely be constructed in Ruai. All that needs to happen is excavation of the black cotton soil. 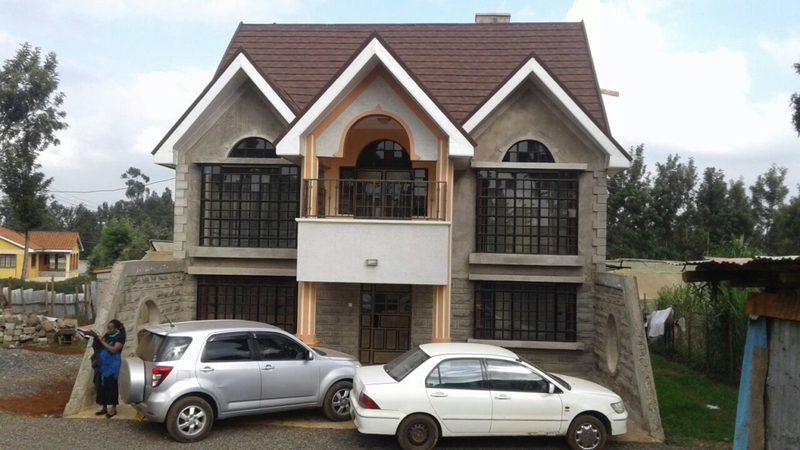 The standard cost of building currently is between KES 25,000– KES 35,000 per square meter, according to the latest published rated from the Institute of Quantity Surveyors of Kenya, depending on finishes and location of the project. Once the house plan is modified for your specific use, then we can see what size it will be and use the rate above to calculate the cost of construction. We have different versions of this design as you will see from the links below. 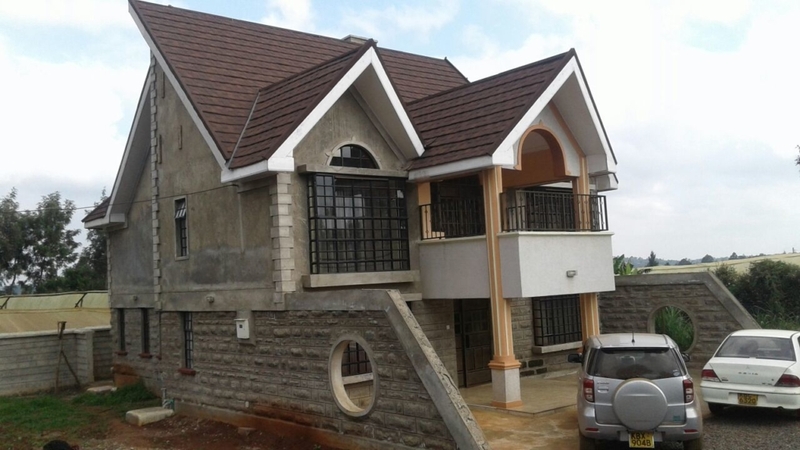 The standard cost of building currently is between KES 25,000 – KES 35,000 per square meter, according to the latest published rated from the Institute of Quantity Surveyors of Kenya, depending on finishes and location of the project. 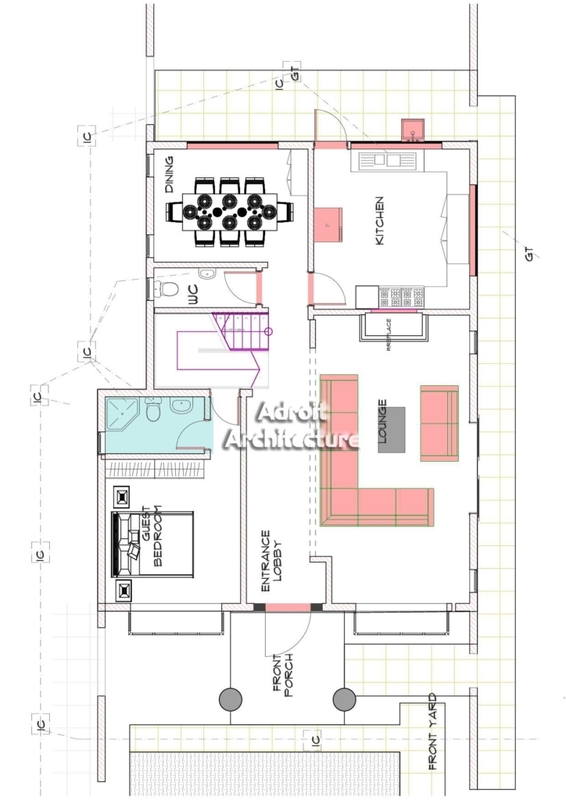 Using this rate, here are the estimates of constructing each of the house plans. All details sent to your inbox. Awaiting your response. This design is very attractive – how much space does it occupy? would it fit in a 50*100 and still to be left with enough space? 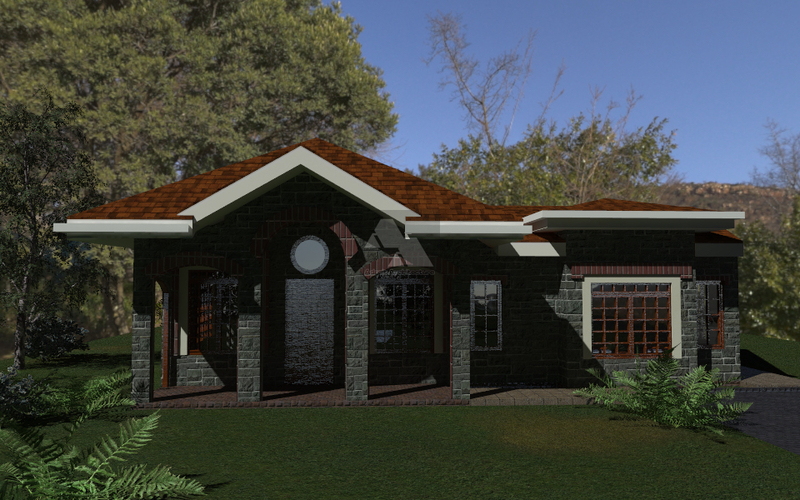 This is a version of the A House Plan that has been customized to fit within a 50*100. We have knocked off the garage. Check your email for all the other details. 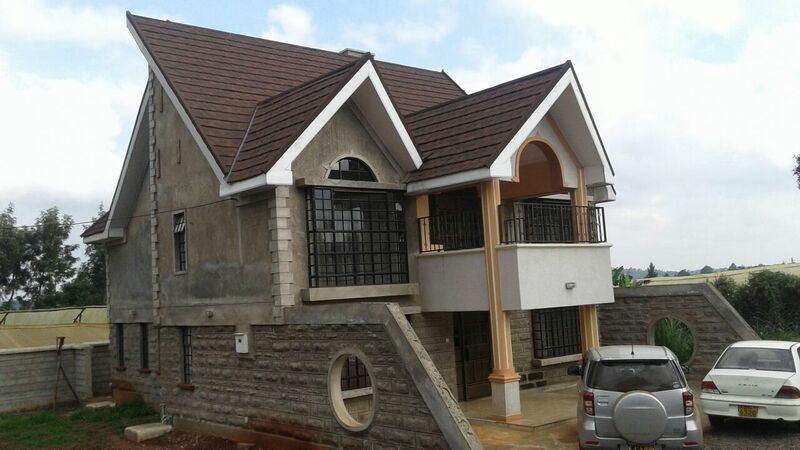 For this design of a house to comfortably fit on an eighth, are there major changes to be effected on the overall design and what would be the estimate of constructing and standard finishing. I hope you got my email with all the details. We have a version of this house plan that is designed for an eight acre. I have sent you estimate construction costs. Revert back for further discussions. i have seen my neigh bough putting up this house. 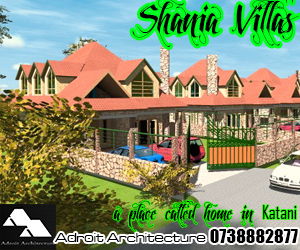 though only the ground floor is completed, its an immaculate house that immediately arrests an one ones attention. how much do you charge for a plan? 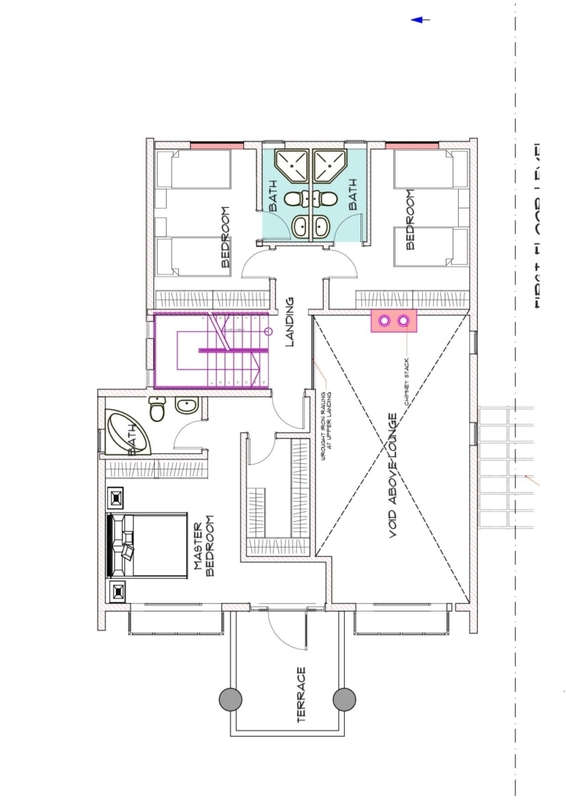 Thank you for your kind comments on this house plan. I have sent you an email with all the details on how to get the plan. Check your email. All the details you have asked for have been sent to you.